Do you have space in your event calendar for one more event in May? Then we’ve got you covered. In today’s blog, we go over 12 awesome last minute challenges here in the UK that still have spaces open. We have three events each for running, cycling, OCR & triathlon. 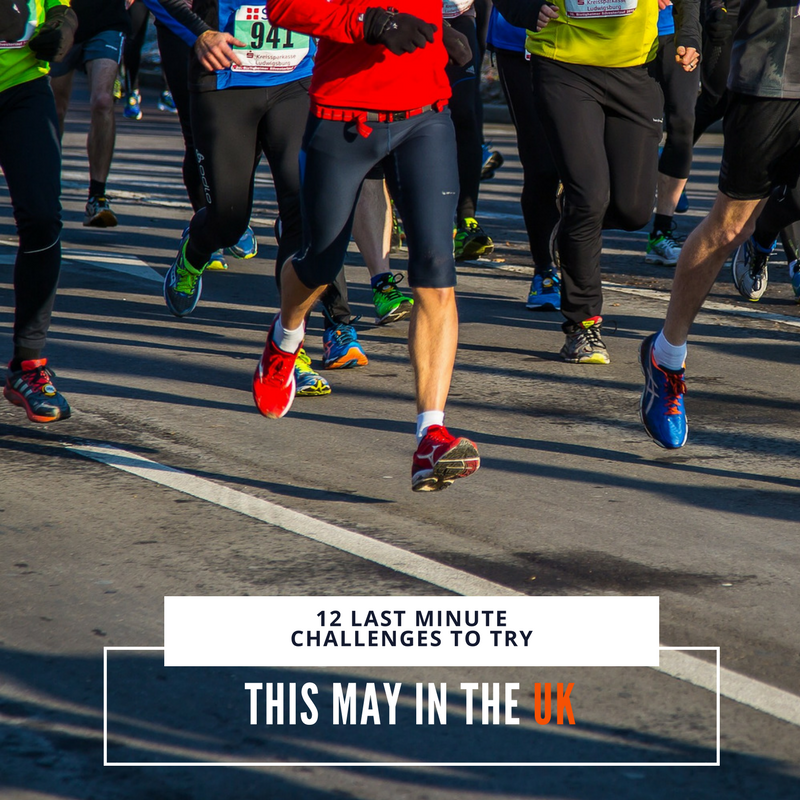 The half, marathon and ultra for this series is held annually in May and takes place at the Bewl reservoir which is set within 1000 acres of the picturesque Kent and Sussex countryside based in Lamberhurst, Kent. All these trail routes follow the clockwise “round the reservoir route” at the Bewl Water Country Park which is the largest lake in South East England and they run through some lovely forested areas and open countryside trails overlooking the lake which comprises of one lap of this course for the half marathon, two laps for the marathon course, and three laps for the ultra. The course is only undulating on certain sections, whilst the remaining route is run along quiet country back roads. The Jurassic Quarter is an undulating 46 mile Ultra Marathon along the South West Coast Path in the UK. The course covers almost half of England’s only natural World Heritage Site, The Jurassic Coast. The task is brutally simple: to run non-stop from Portland Bill Lighthouse to the eastern end of the Jurassic Coast at Old Harry Rocks. This challenge can be undertaken as a solo, relay team of two or relay of four. The atmosphere is of keen and friendly rivalry. Following 46 miles of mesmerising coastline there are innumerable steep climbs and descents. This is the ultimate trail runner’s rush. Be under no mistake, every runner must be well prepared both mentally and physically. Get your tickets quickly here as they are close to selling out! Excalibur is the tough trail running event that traverses the spectacular Clwydian Range of North Wales. Organised by The Runners Hub and supported by Inov8 who are supplying the prizes. There is over 5,500 feet of ascent in the marathon route, 3,200 ft in the half marathon and 1,750ft in the 10k. Excalibur is a tough trail event welcoming fell runners, trail runners well, runners! We also welcome Canicrossers who will have a separate start. Please note there is no walking category this year. People can walk some or part if they wish but there will be a cut off at Aifft at 2pm on the marathon route. Rat Race Dirty Weekend is bringing its monster builds, phenomenal afterparty and brutal course back to Burghley House. The World’s biggest OCR offers up 20 miles jampacked with 200 obstacles designed to smash your limits and give you the best obstacle racing weekend away with your mates. An event not to be missed so get in there quickly before tickets sell out here. No OCR calendar would be complete without a visit to Nuclear Races! Nuclear’s well known for delivering award winning events with big, high quality achievable, man-made and natural obstacles designed to test every ability of fitness on fast-paced, flowing, punishing courses over epic varied terrain. Expect the infamous Deathslide, Zip-lines & 120m Gorilla bars at this event plus loads more. Join them for a chilled OCR festival weekend packed with obstacle racing for all the family (Rookie kids included), camping, live music & entertainment for all ages. Set in the heart of the spectacular Cornish countryside and featuring breath taking views of the sea, World’s End is Tuff Enuff’s flagship event. Based around an extended version of our infamous permanent assault course, World’s End 2017 is a brutal endurance challenge of approximately 5km or if you prefer to really test yourself, a 12km course, over extremely diverse terrain. The Tuff Nutt junior endurance race is 4km and takes place in the afternoon. All entrants will get a Tuff Enuff t-shirt and medal. Book your entry on their website. A swim surrounded with mountains, a bike course in the heart of the Snowdonia National Park and a run through an awesome slate quarry – we challenge you to find a more iconic race than the Pedalcover Slateman Triathlon. Once again the Slateman will be delivered over two days, with the three tri options of the Slateman Sprint, Full and Savage available. Team relay categories are also available for both the Sprint and Full race distances. This is triathlon is truly unmissable so get your ticket here! This event is perfect for anyone looking to get fit or take part in their first Triathlon of the season. Dorney Lake is the perfect venue for a Triathlon. 100% accurate course and 100% traffic free. A fast and fun race. This fun and exciting Triathlon will put you on good form for the coming season. The event location is one of the most iconic 2012 London Olympic Games venues, which hosted the rowing and canoe disciplines. If you’re looking to kick off the triathlon season the right way or try your first triathlon, get a ticket for the Windsor super sprint here. Mega Sprint Distance triathlon, set in the glorious Stourhead National Trust estate. But don’t be fooled, this is a tough and challenging event that will surely test even the fittest and fastest triathletes. Immortal Sport have secured exclusive use of this iconic venue. This tough and challenging race will start off with a 900m swim in the large lake, followed a by a beautiful and fast 18 mile ride through the Wiltshire, Somerset and Dorset counties, before finishing in a 4.5 mile run! – A high quality finisher’s medal for each distance. Get your tickets for Bike Oxford here. Back for its 23rd year, this Spring will once again see the return of the annual Cyclothon. With four routes to choose from (30, 50, 80 and 100 miles) there’s a challenge for everyone! Each route will begin and end at the event hub in Pontefract Park with the cycle itself beginning at 9am. 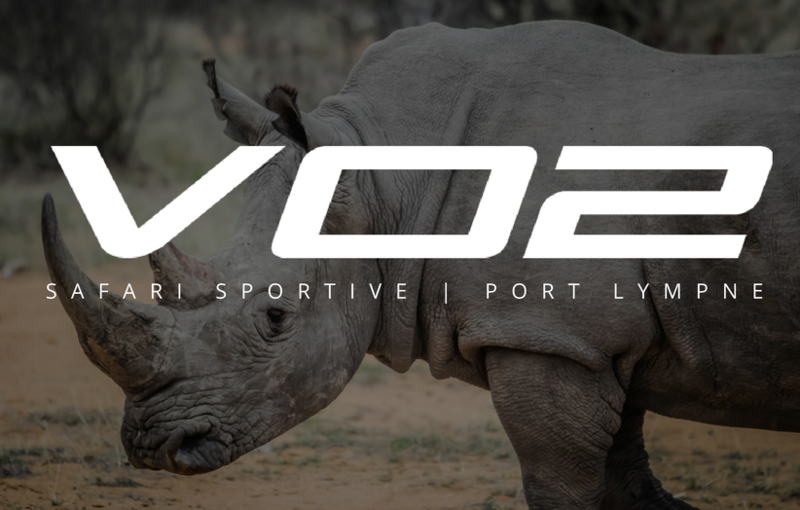 Yes, you read that right; there is a sportive that involves a safari. And we can’t wait! The Safari Sportive is a truly special event, starting inside Port Lympne Reserve right next to the Lion Enclosure and Black Rhino Paddocks. The route takes you past more amazing animals as you follow the road across the top of the park. Leaving the reserve you begins the 90km journey around the marshes passing through Dymchurch, Camber and Rye. Part of your entry fee for this event will be donated to The Aspinall Foundation. If you want to get involved, get your tickets here.